“Delighted with the windows, delighted with the workmen”, were the words of a recent yoursashwindows.com customer. 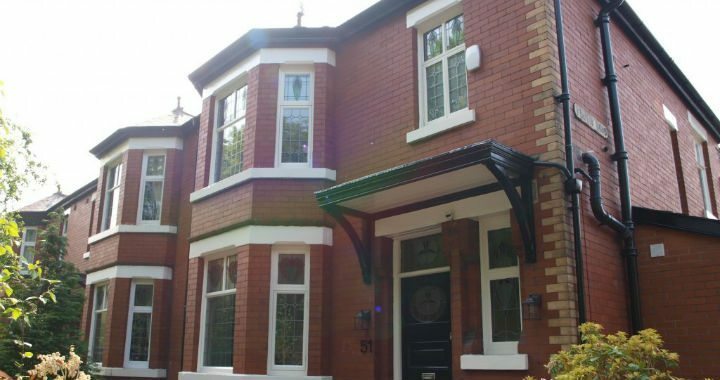 The owner of an elegant Edwardian property in Lymm, Cheshire, our customer had painstakingly researched the best company for the job when he realised his beloved casement windows were in need of expert repair. His journey began when he appointed a local company to paint the external frames of his windows. The original wooden frames were suffering from the inevitable effects of years of exposure to the elements and had become very weather-beaten. Our customer set out to have the frames painted to restore them to their former glory but it wasn’t to be. The company who came out to paint the frames advised the owner that the frames were too far gone and would need extensive restoration work or replacing completely. A little downhearted, but not defeated, our customer spent some time considering his options. Keen to retain the pure Edwardian design of the windows, he knew he wanted to keep the originality with like-for-like replacements. One things was for sure; he certainly didn’t want PVC or plastic. Our customer did a lot of research online, looking for specialist casement window restoration companies and quickly discovered yoursashwindows.com. After weeks of investigation, the customer whittled it down to us and another company but liked what he’d read about us and our processes and what he’d seen of our work online, and so contacted us for a quote. Our Manchester and Cheshire-based surveyor visited the property to assess the failing windows and the extent of the work required. A quote was generated and we were appointed to replace three windows. The process included manufacturing exact replicas of the existing casement windows to ensure precise profile matching to retain the original features of the Edwardian design. At the same time we fitted double glazing into the new casements, improving their energy efficiency and ensuring draught proofing. The new units were installed during a week in November, with painting and finishing work taking place afterwards. Our customer is thrilled with his new windows and the finished results. He particularly stressed his delight with the workmen on site for their professionalism and attention to detail when carrying out their work. If you would like a quote or some advice on your casement window restoration project, period window specialists yoursashwindows.com would be delighted to hear from you and offer you a no obligation quote. Please call us on 0333 6000 196 or email enquiry@yoursashwindows.com.